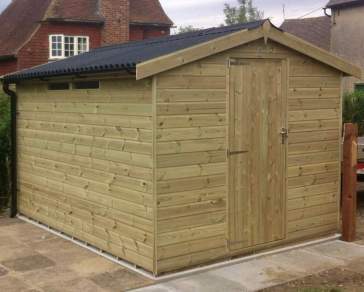 Are you in a need of an 8x6 shed? Look no further. 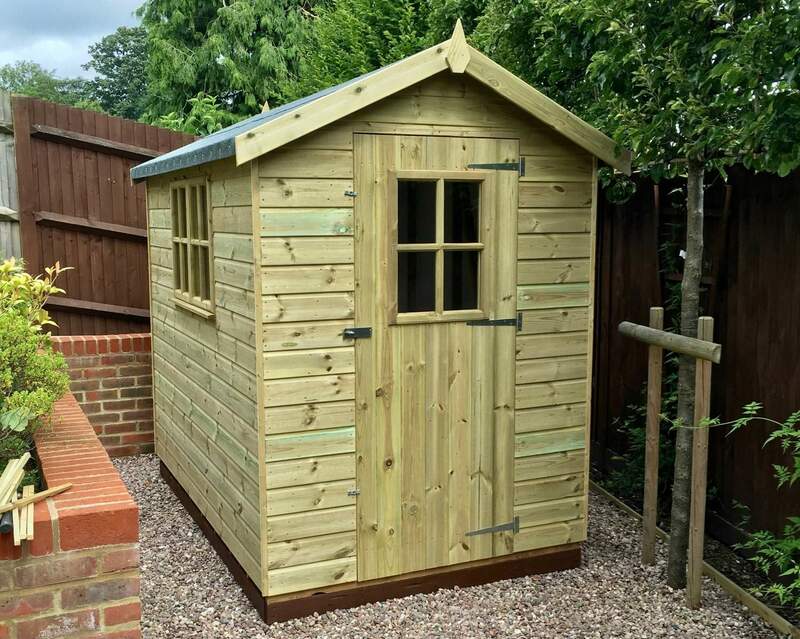 At Ace Sheds we manufacture excellent 8x6 garden sheds in an array of designs and shapes, perfect to complement any garden style or size. 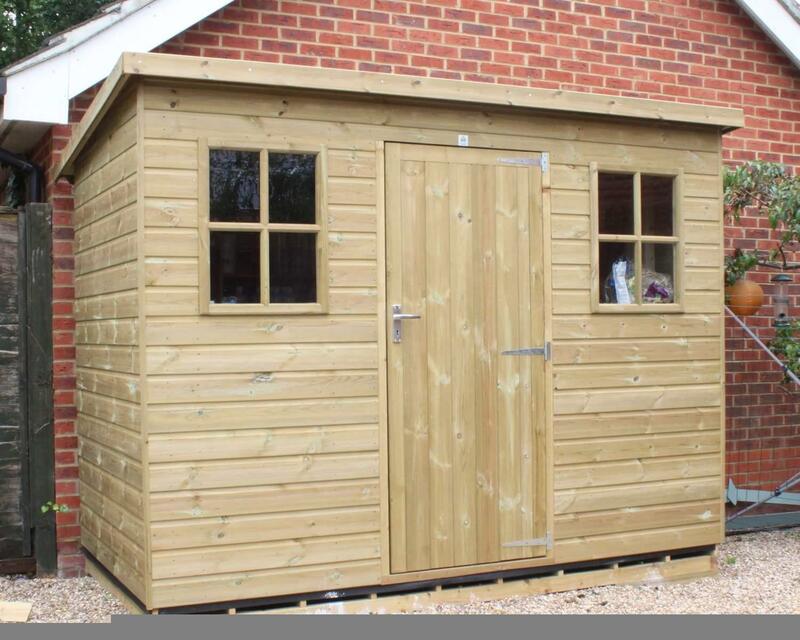 Our timber garden buildings can be used for a multitude of purposes from a storage haven to a garden office, children’s playhouse to a cinema room – the possibilities are endless. 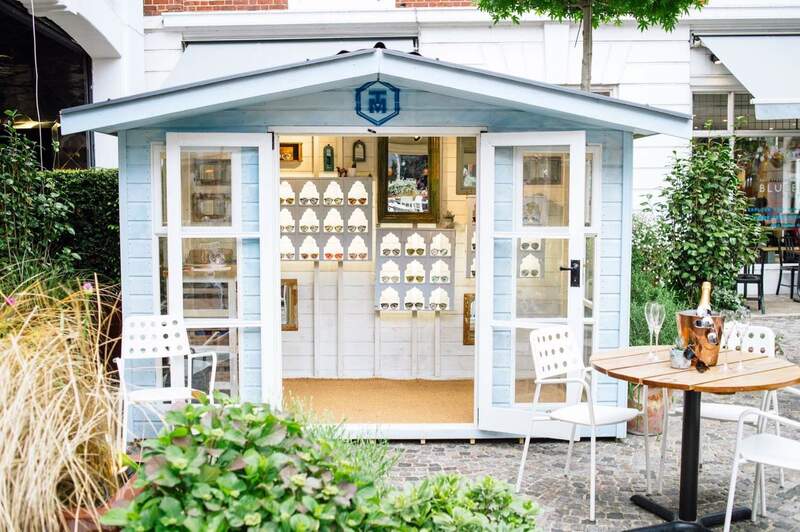 Since each of our sheds are completely bespoke, you’re guaranteed to find something you like, suitable to your preferences and your outdoor space. 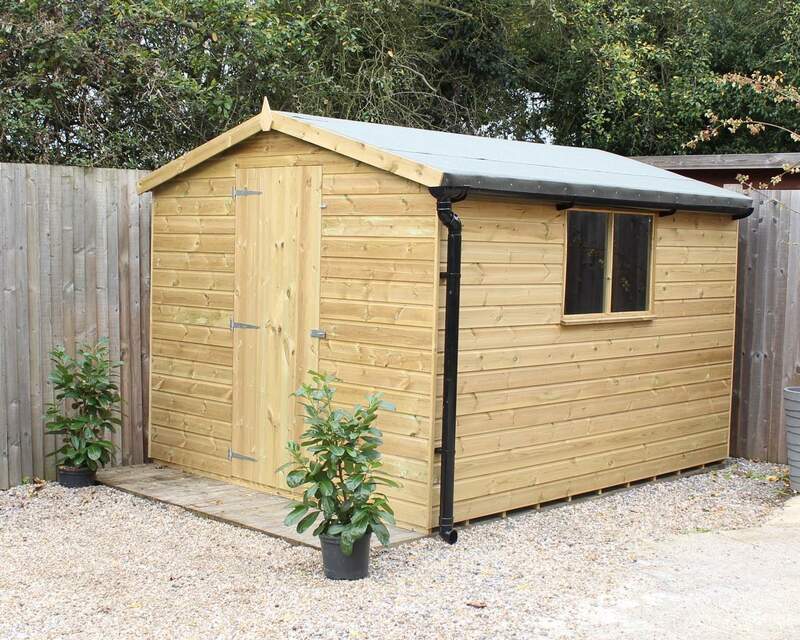 If you’re looking for a longterm solution for your storage needs or need additional space outside of the home, an 8x6 wooden shed could be just what you’re looking for. 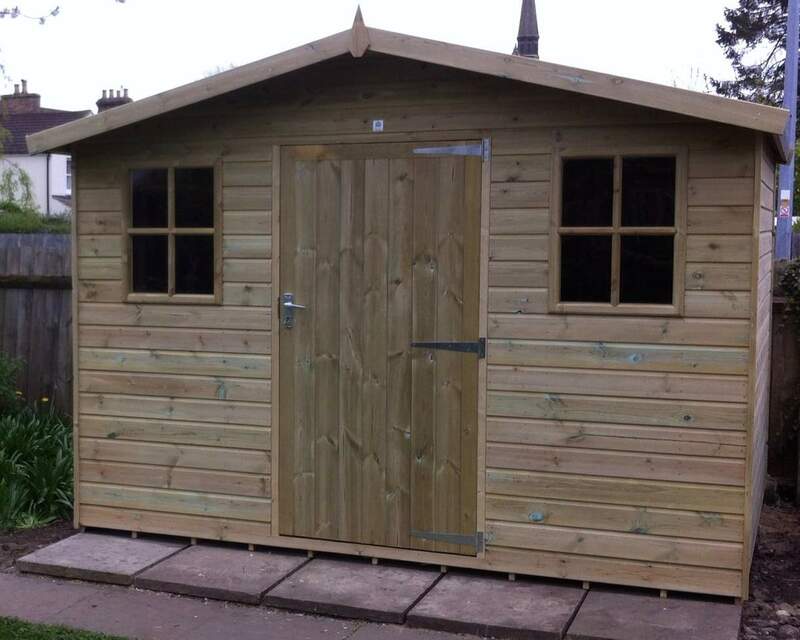 Our sheds are made from premium quality timber, which has been 100% pressure treated before manufacturing. This quality wood preservative is much more effective that dip-treated wood, and ensures your timber buildings remain durable and maintenance free. 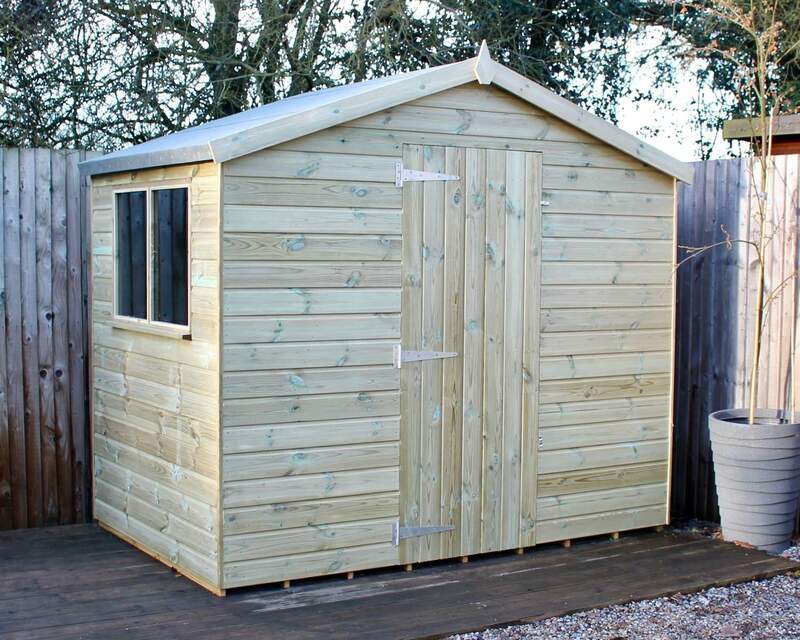 What’s more, our treatment ensures your 8x6 shed isn’t affected by rot and decay and remains watertight in the most adverse weather conditions. 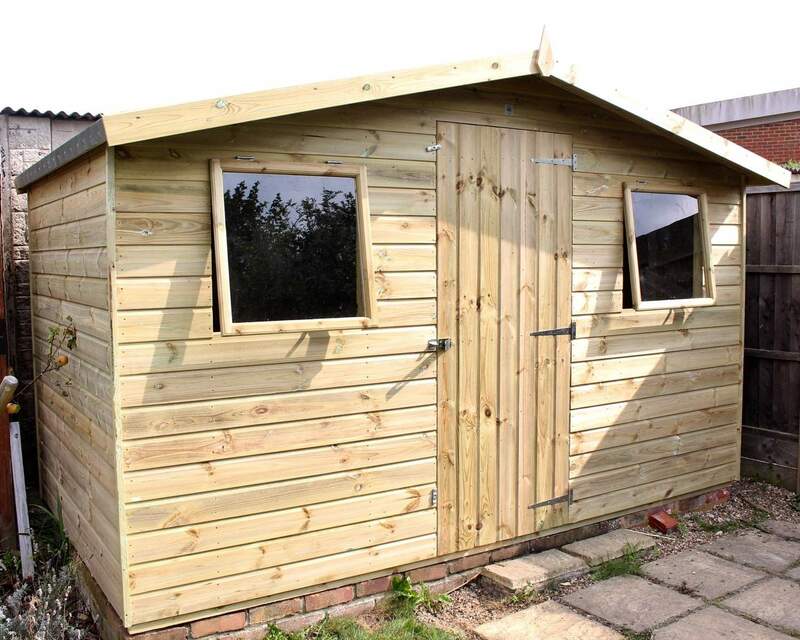 Whether you’re in need of a storage haven, home gym, garden office or space for the children to play, our garden sheds can be used for a number of reasons. We love the idea of encouraging the family to spend more time outside in the garden rather confined to the home! Our skilled craftsman handles each order with the utmost care and attention to detail, from start to finish. We know it’s the little things that count, so from the smallest of detail, we’ll ensure your shed meets perfection. That’s the great thing about manufacturing your sheds inhouse, we can ensure everything is just how you want it, completing quality checks every step of the way. 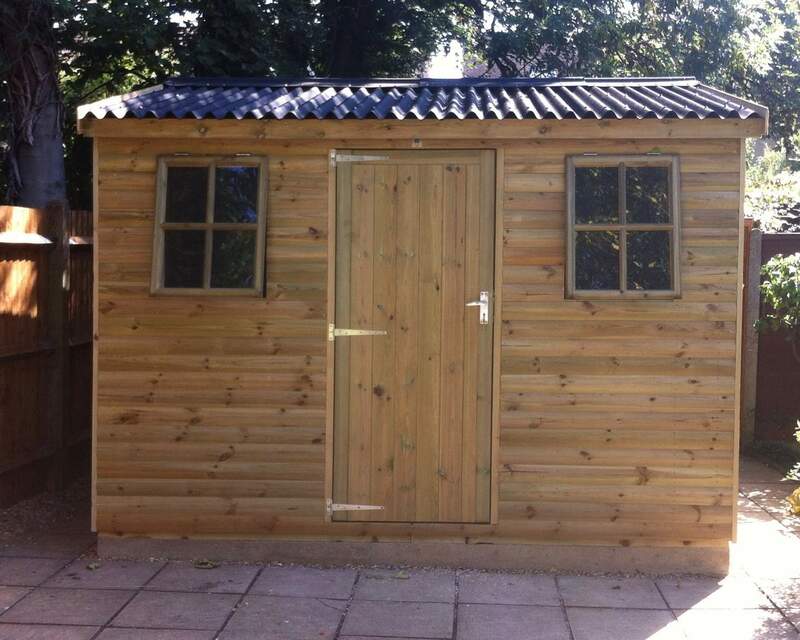 Get a completely bespoke timber shed using our simple 11-step customisation process. Whether it be changing the position of the door or windows, to upgrading the cladding thickness or quality of felt, maybe you want to add optional extras and security features? 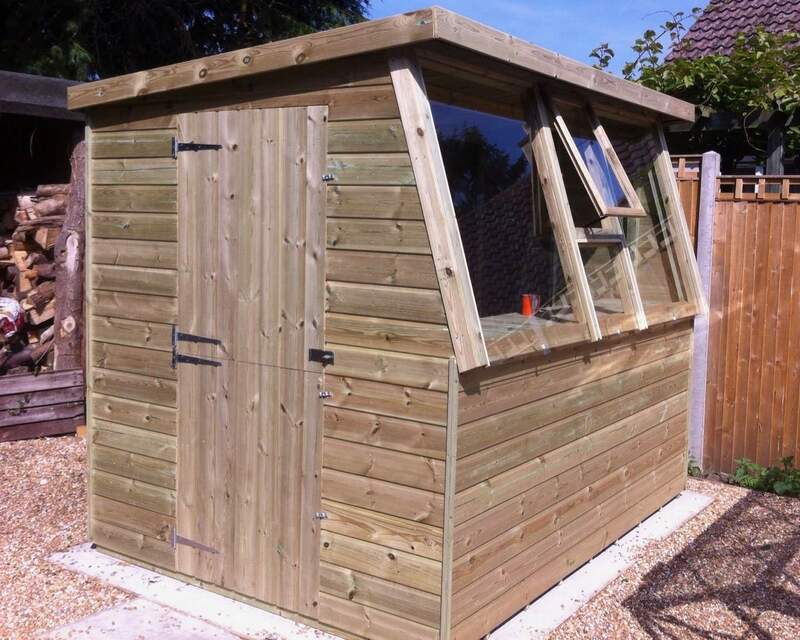 You can make a number of alterations to ensure your shed meets your preferences! 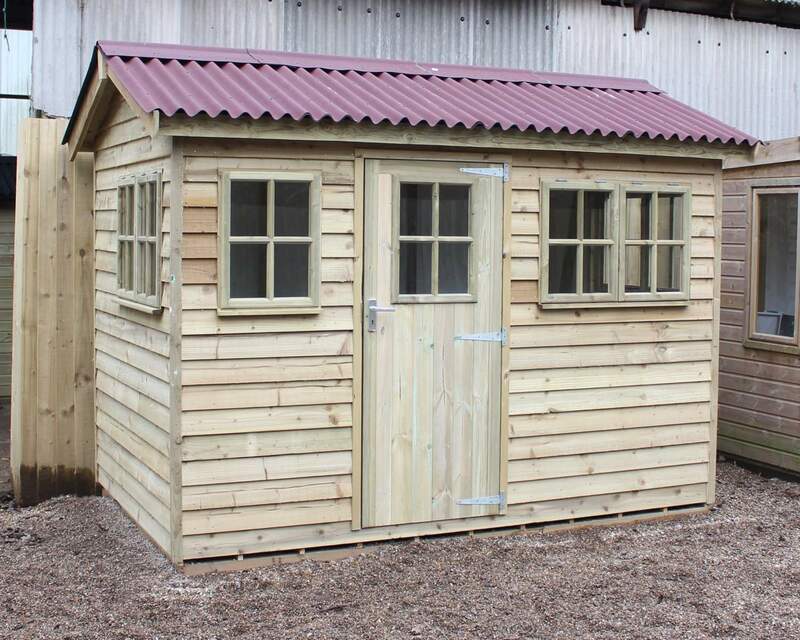 What’s more, if you can’t find a shed that meets your needs from our online shop, we can craft something completely bespoke! 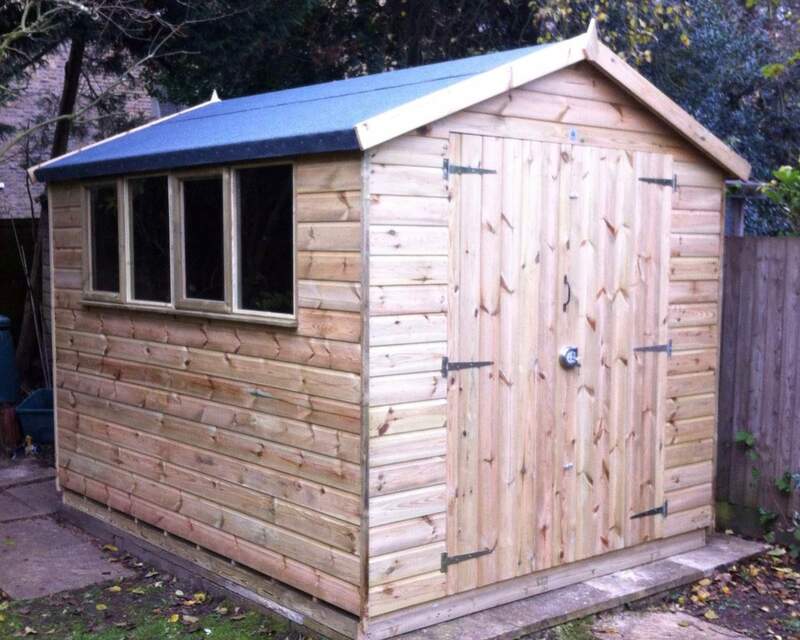 Sketch your design or speak to one of our team, and we can start designing a custom-made 8x6 shed. We are dedicated to providing excellent customer and great delivery; if you live in the South East you can benefit from free delivery, simply enter your postcode and see if you’re eligible! 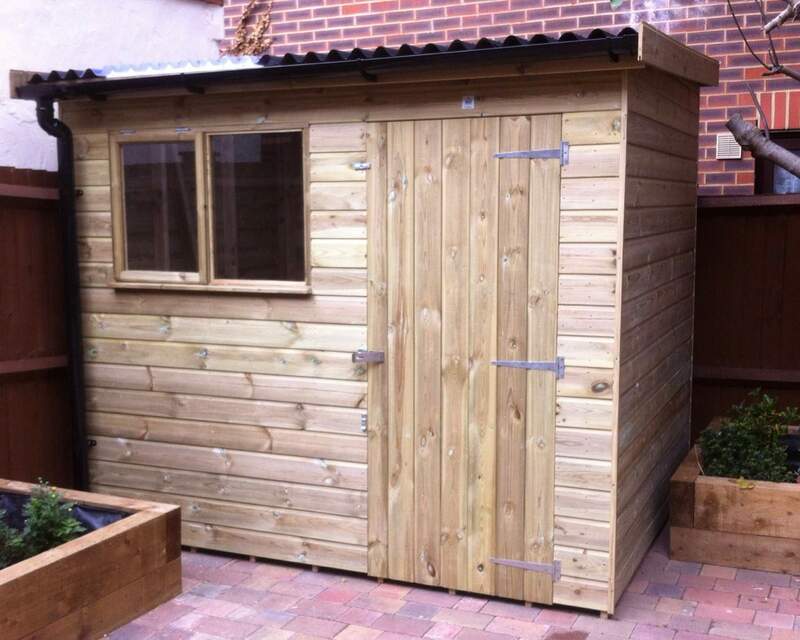 What’s more, you can also take advantage of our free installation service – on the day of delivery, our installation team can also erect your garden shed. 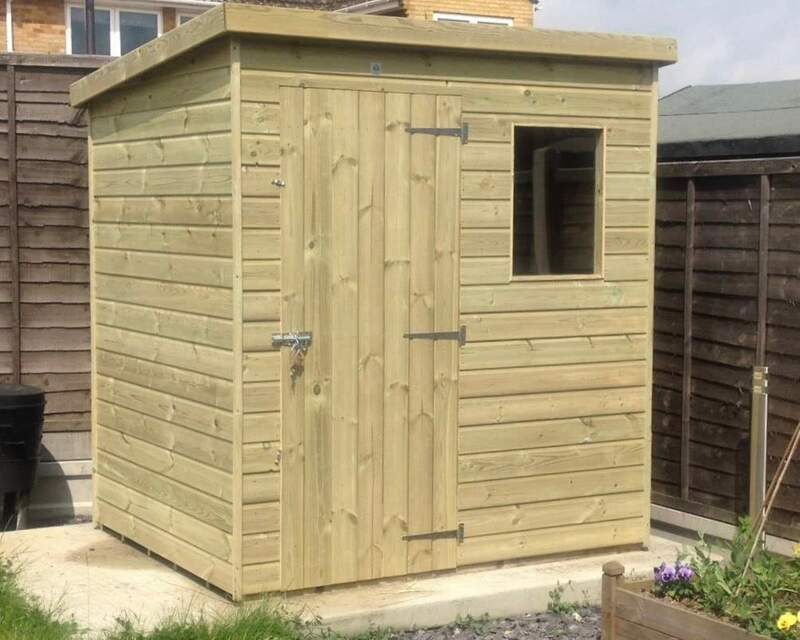 If you fancy having a go yourself, not a problem, we will deliver your 8x6 storage shed with instructions and leave it to you! If you have any enquiries about our products or services, please get in touch. 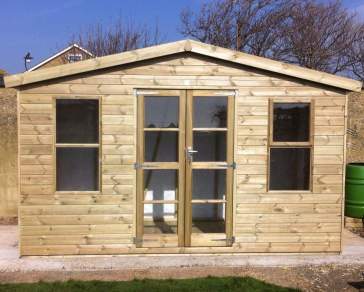 You can also visit us at our showroom and see our garden buildings in the flesh. 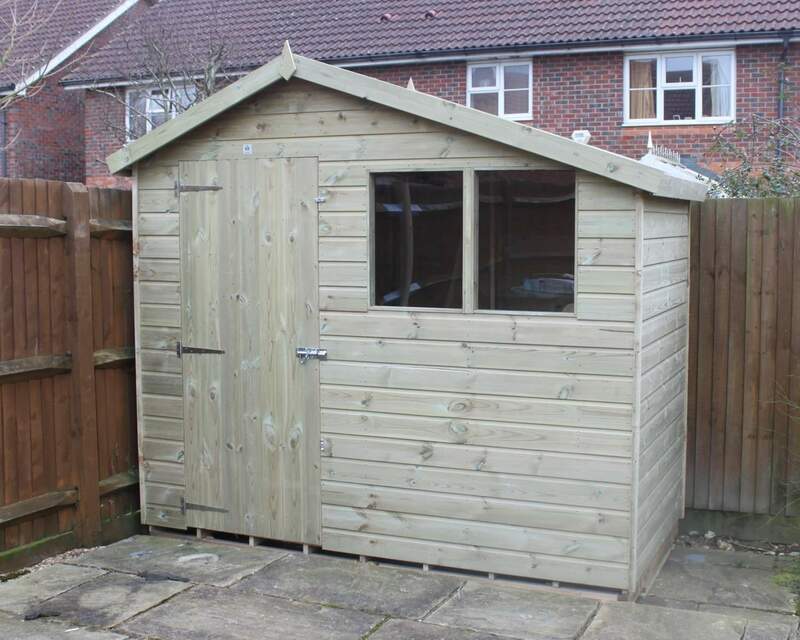 Our customer gallery also demonstrates a number of sheds in clients back gardens.